Rob Bittner (MACL ’11) is a researcher LGBTQ literature for teens, transgender and genderqueer teen reading habits and reactions to trans and queer representation. He has also served as the co-chair of the UBC Graduate Student Children’s Literature Research Conference and is currently a SSHRC Postdoctoral Research Fellow at UBC iSchool. 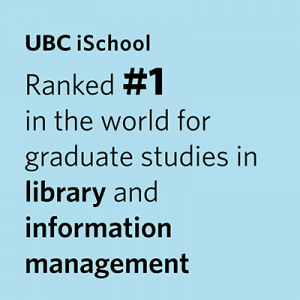 When I heard about the MA in Children’s Literature at UBC, it was the obvious choice for a graduate program in my field. I love young adult literature and very few programs in Canada, if any, offer classes on the subject or allow for much study in YA related research. . . . I knew I would be able to find an academic home at the iSchool. The professors all encouraged me to pursue my studies in YA literature in all of my classes, using different theoretical approaches depending on the course themes. I was able to look at YA culture in relation to new media, the history of YA literature, and even related to critical race theory and queer theory.